Anton Reichenauer (1694-1730): Concerto in F Major for oboe, bassoon, strings and b.c. Anton Reichenauer (1694-1730): Concerto in B Flat Major for oboe, bassoon, strings and B.C. This international ensemble was founded in 2005. It performs its repertoire on baroque instruments, accompanies famous soloists at festivals and is composed of members of various international orchestras. The festival ensemble tours Europe and aims to increase the visibility of the music and cultural scene of Slovenia. 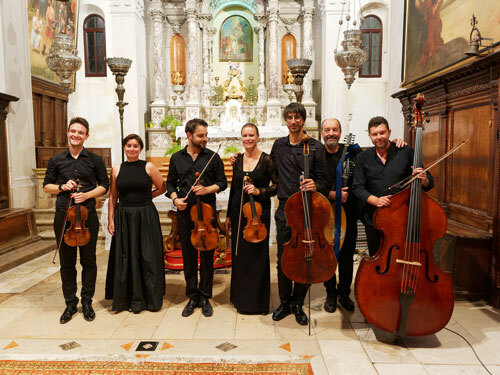 It has performed at key European festivals, such as: the Ravello Festival, the Emiglia Romagna Festival, the Veneto Festival and presented the music of Slovenia for the Council of Europe in Luxembourg. The ensemble regularly works with famous musicians such as; Sergio Azzolini, Christophe Coin, Giuliano Carmignola, Giovanni de Angeli and others. Sergio Azzolini was born in Bolzano in 1967 where he studied at the Musical conservatory Claudio Monteverdi. Sergio Azzolini continued his studies in Hanover in the class of professor Klaus Thunemann. Attention was drawn to his musical talent while playing at numerous musical contests in Ancona, Prague, Belgrade, Martigny, Bonn and Munich. Sergio Azzolini regularly records for EMI. Besides solo performances, he dedicates great amounts of time to his own ensemble Il Proteo. 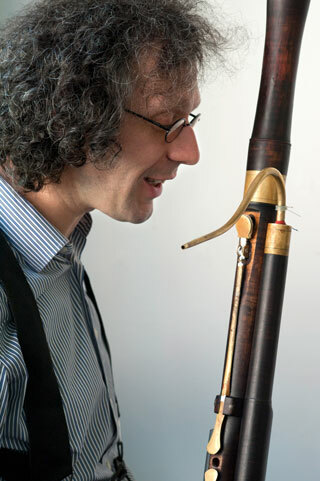 Sergio Azzolini is a permanent member of Christophe Coin’s Ensemble Baroque de Limoges and is playing as a soloist in the Sonatori de la Gioiosa Marca ensemble. He has been the artistic director of Kammerakademie Potsdam since 2002. He began his teaching career as professor of bassoon at the Faculty of music in Stuttgart and in 1998 Azzolini became professor of bassoon and chamber music at the Faculty of music in Basel.